Rave reviews on 'Voices of Angels' Tour. 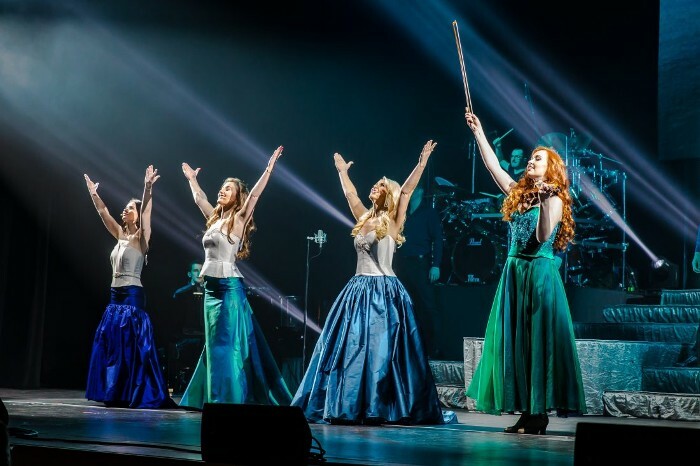 Celtic Woman is receiving fantastic reviews on their new 'Voices of Angels' Tour which is making its way across North America at present. Cincinnati Arts Guide describes the show as; "An Emotional, Powerful Journey of Music and Girl Power...this performance is more than just an enjoyable evening of song and dance; it is a reminder of the importance of unity and the strength of women. Cranston Herald wrote: "Celtic Woman 'Voices of Angels' brought passion to the Providence Performing Arts Center with a blockbuster show that featured three beautiful voices, dancing, storytelling and musical instruments (including bagpipes, harp, fiddle and drums) that represented their country. The Columbus Dispatch described the 'Voices of Angels' show as "charming, spectacular and equivocally 'all things Irish'." The phenomenal Celtic Woman will be performing their wonderful new show in Illinois and Iowa this weekend (28 - 30 April). Click here to see when Celtic Woman will be in a city near you.